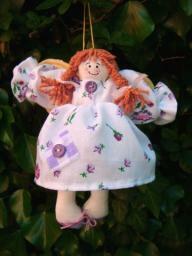 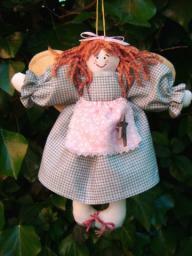 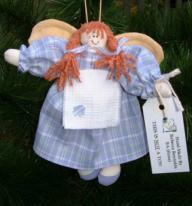 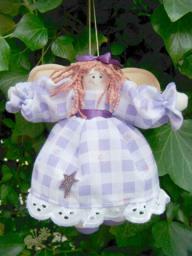 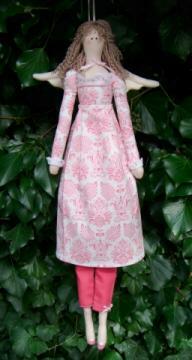 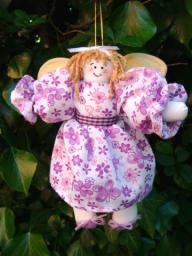 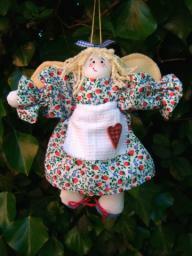 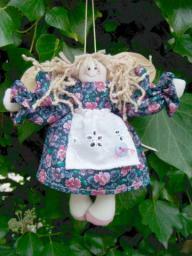 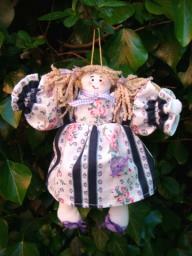 This is a lovely Christmas decoration that can be suspended from door handles, bed posts, you name it!. 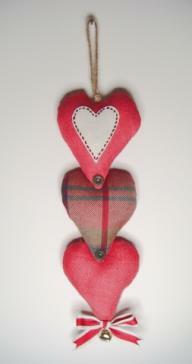 Three padded fabric hearts are joined together and embellished with buttons, natural twine, and a bell. 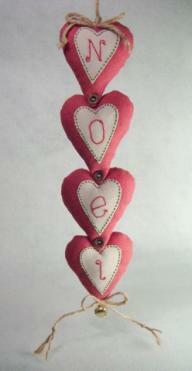 Each heart has an appliqued heart on it, and I've embroidered the letters of 'Joy' on them. 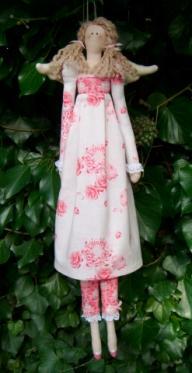 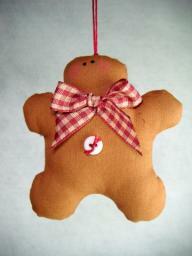 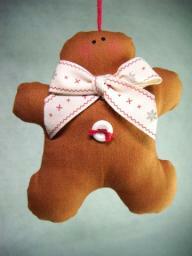 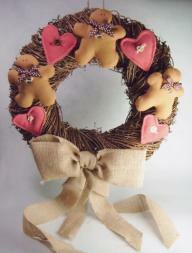 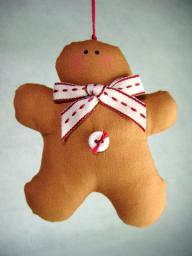 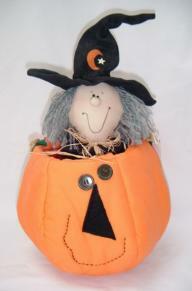 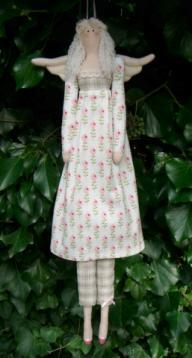 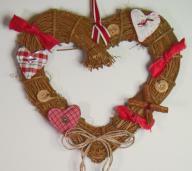 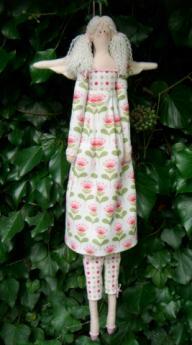 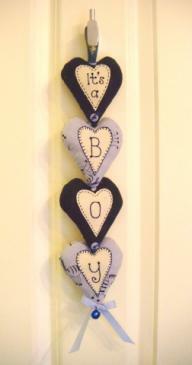 Length: 50cm (approx) including hanging loop and ribbon decoration.